You may have read recently in the press about a new dementia service covering the Waveney area. ‘Dementia Together’ (co-ordinated by Sue Ryder charity and in partnership with local organisations) is being funded by local NHS health and social care organisations to cover the Waveney area until the end of March 2019. This service will provide a helpline for advice and support and signposting to other services in the area and for referral to a ‘navigator’ for more help. 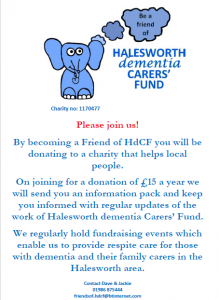 Halesworth Dementia Carers’ Fund is a voluntary run community-based charity providing advice and support and practical help for those with dementia and their families who are registered with Cutlers Hill Surgery. 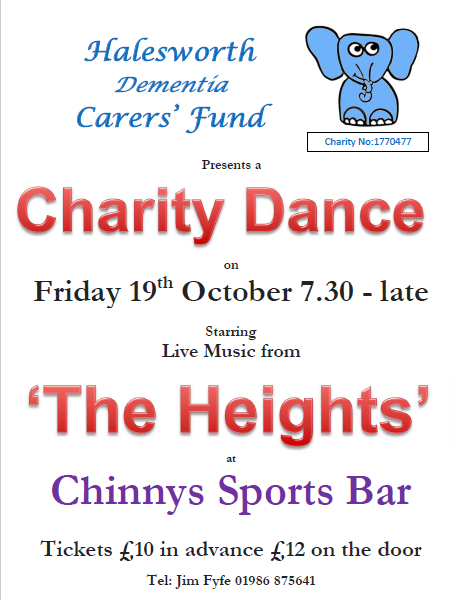 The HdCF Dementia Support Project and Respite Care Service, have been running for 5 years, funded through grants and local fund raising. Our Dementia Support Worker provides one to one support to people with dementia and their carers and families, runs our local carers group and refers people to our respite service, where trained dementia healthcare workers work with people with dementia and enable family carers to have a break from their caring role. It is good to see that there is now a support service for people with dementia and their families across the whole of the Waveney area. 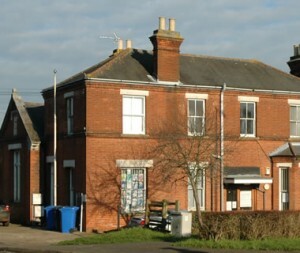 In Halesworth we will continue to provide all our services and work in partnership with the Sue Ryder ‘Dementia Together’ team. 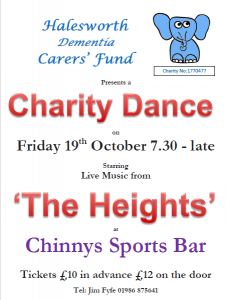 You can access either the ‘Dementia Together’ helpline 08081 688 000 for the whole of Waveney or the Halesworth Dementia Carers’ Fund helpline 01986 875 641. Jonny Hawes, who provided our specialist dementia support and advice service seconded from the Alzheimer’s Society and funded by the Halesworth Dementia Carers’ Fund, has moved over to the ‘Dementia Together’ service and will be covering the whole of Waveney. We wish him well in his new role. We welcome Alice Sparksman our new Dementia Support Worker seconded from the Alzheimer’s Society to our team, who can be contacted on 07860 912 458. 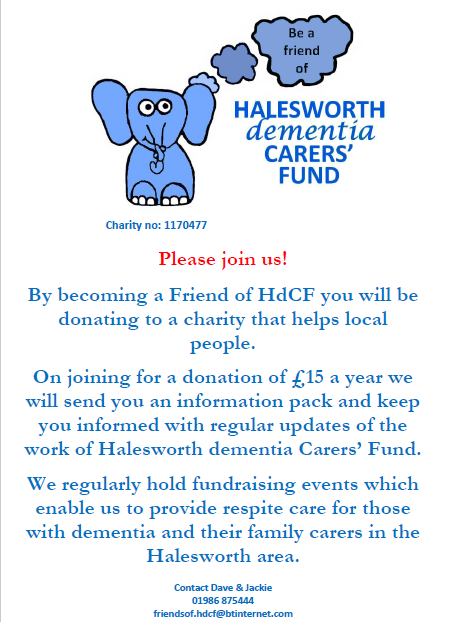 In Halesworth, the Dementia Carers’ Fund will continue to provide our specialist dementia service now and into the future, so with your continued support we are here to help you. Please don’t hesitate to contact us for any advice or information.